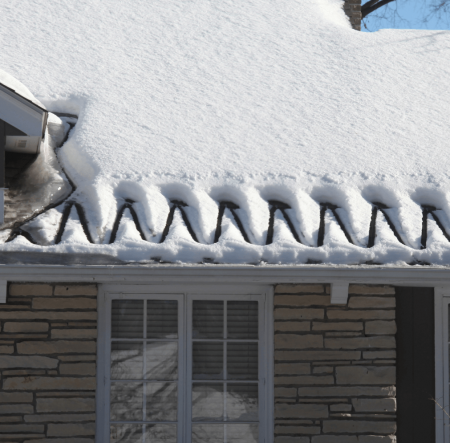 There are many products out there that can help prevent ice dams; the most popular are various types of roof deicing cables. 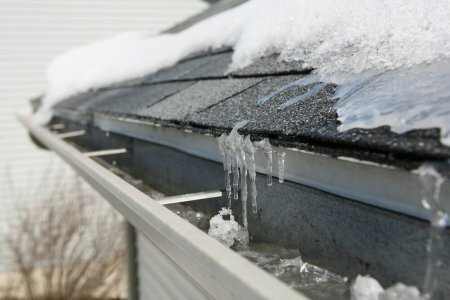 While these do a pretty good job, most are “after the fact” or “plan B” type, where you start dealing with ice dams after they have already happened. Another option, which I find to be a lot more proactive and savvy is to install a system that will stop them from forming on your roof. These long term solutions are known as Roof Ice Melt Systems – they remove all the stress and effort of having to deal with this problem every winter. This is precisely the kind of system Perfectly Clear is designed to be. Installing such a product is particularly helpful and important if you are in a situation where you cannot upgrade or improve your roof’s ventilation and/or insulation. 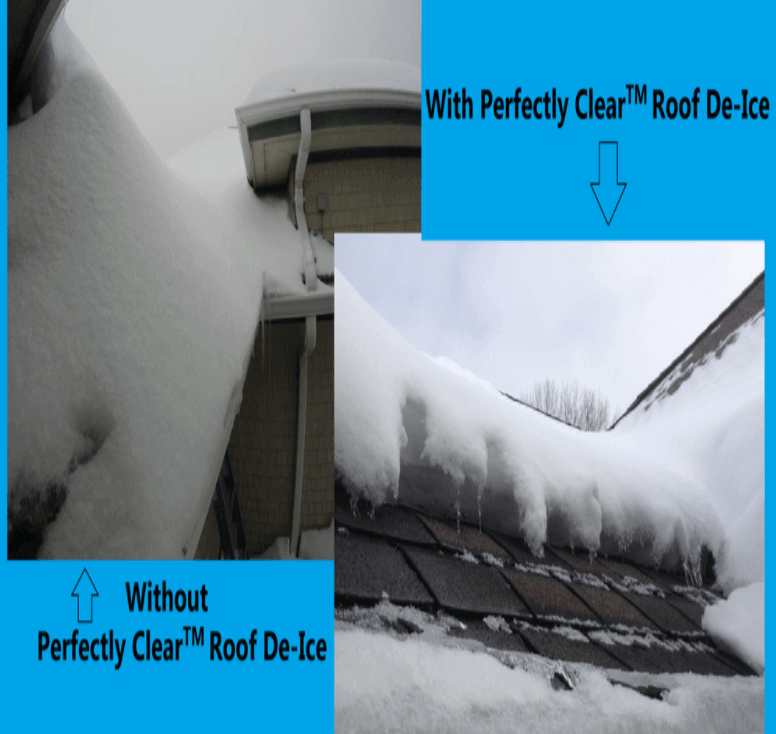 How does Perfectly Clear roof deicing system work? This system is designed and manufactured in West Wareham, Massachusetts. It is a set of modular heating panels, that are installed in specific areas around the roof, which are prone to ice dams. What distinguishes this product from the rest is heating precision and efficiency. The thin film heating elements are designed to convert electricity into radiant heat with superior efficiency, compared to other panels. thus, Perfectly Clear can warm more surface area ( as much as 85%), much more quickly and at lower temperatures, while using less energy. Moreover, the panels can be installed during a new construction / roof replacement, as well as in retrofit applications. 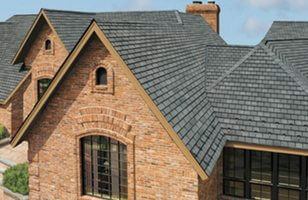 This means you can easily add it to your existing roof, and without removing the shingles. In fact, because the modules are very thin and flexible, they are completely invisible when installed under asphalt shingles. This means you will not have to worry about ruining the curb appeal of your roof, which is often the case with other ice melting products. For complete protection, you can also install Gutter and Downspout Deicing Heat Ribbon. It will protect your gutters from snow and icicle build up. The ribbon is designed to be sunlight and fire resistant. 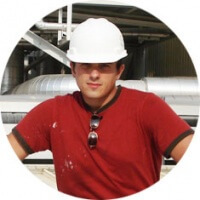 The parent company, Calorique, has been designing and manufacturing cutting edge radiant heating products for residential and commercial applications, since 1980. 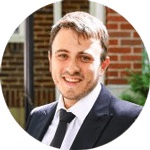 As always there are several factors affecting the price. These include: roof type, job difficulty, age of shingles, ease of access, etc. 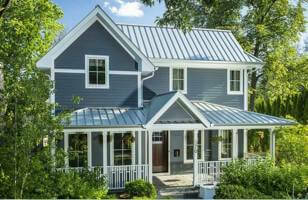 In general, on a new construction job, the cost per linear foot of roof eave (gutter edge) is about $30-40. So if your home has 90 feet of eaves, you are looking to spend $2,700-3,600 to install this ice melting system. On retrofit installations (existing roofs) the cost is about $50 / linear foot. So the total would be about about $4500 for 90 feet of roof eaves. In addition to the ice melting panels, you can (and probably should) also install an automatic controller unit, along with a temperature sensor and a moisture sensor. Together these 3 units will be able to detect when an ice dam is starting to form on your roof, turn the system on and melt it before your roof leaks. Then when the job is completed, the controller will turn the system off, saving electricity and your money. 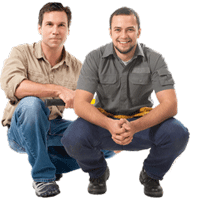 The above prices may vary depending on the number of courses of ice melting strips, the contractor you hire and some other factors. To put this all in perspective, in the winter of 2017 we were charging anywhere from $1,000-2,000 to clean snow off a roof. Depending on location, some homeowners have to get snow removal services 2 and even 3 times in one season, so it becomes very expensive! The cost of snow removal could easily pay for installing an ice melting system like this one, before you consider interior damages that most homes in the North East have sustained. Perfectly Clear roof deicing strips consume 10 watts per linear foot per strip. So if you have 2 strips at 90 feet, that is 180 feet * 10 watts, or 1.8 KW. In one day, you use 43 kWh (kilowatt hours). The average cost per kWh in Massachusetts is $0.18 to $0.24, which means your cost to melt ice dams is $7.78 – $10.37 per 24 hours. Keep in mind that you won’t run this system all winter long. I estimate that even during heavy snow winters, you won’t need to run it longer than 20-30 total days. Thus, your operating costs per year should be around $155-311. Note, that if you install other roof ice melt systems, their operating costs should be comparable to Perfectly Clear. Once again, remember that it costs at least $1,000 to clean snow off your roof, if you hire a pro during the “busy winter season”. During the 2015 NERCA roofing show in Connecticut, I personally met with representatives of Calorique to learn more about their product. Special thanks to Brenda for giving me all this useful information – cheers! Here are the biggest advantages of installing it on your roof. I hope that this winter, you will not have to deal with ice dams! Great article! I myself however use EPDM rubber roofing which seems to hold up well against all kinds of weather.